For reference here is an example of a fully renovated Krisel. First, “Mid-Century Modern” generally means local homes built roughly in the 1950-1969 time period, inspired by the design features explored in the Arts & Architecture journal’s Case Study Program. A goal of this project was to explore designs of functional homes using modern materials for returning veterans at an affordable price. 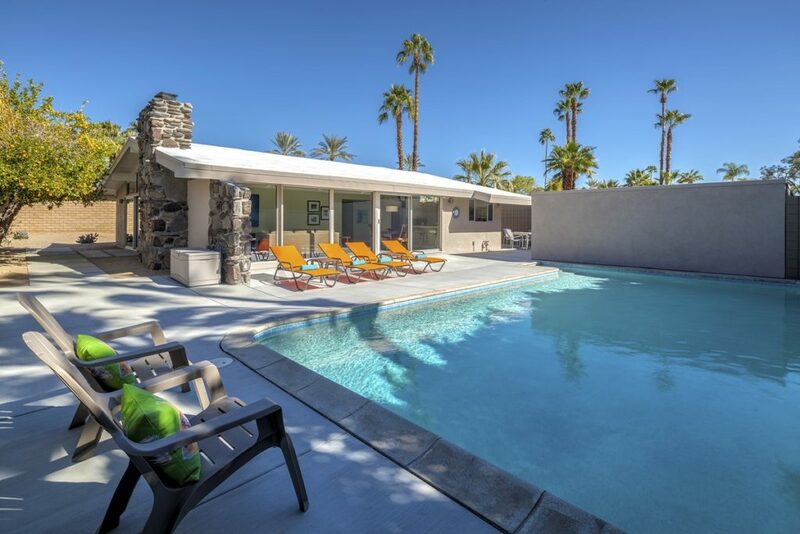 Most of the actual designs were built on the California West Coast, but as the Palm Springs area became popular for second winter homes, adaptations of these modern designs began to appear here. The availability of air conditioning and plate glass, along with the post and beam design concepts fit perfectly the construction of smaller sun-filled vacation homes with panoramic desert and mountain views. The Valley has a wealth of these homes, in a variety of conditions from the original to those that are fully modernized. A home in original condition is regarded as a “fixer” as they do require electrical upgrades to handle modern appliances and generally, plumbing to replace corroded iron piping. The desert sun is extremely hard on roofs, materials and finishes, so exteriors will have required maintenance. With this done, the rest of the home could be refreshed using original or near-original materials, fixtures and appliances. These are known as restored homes. 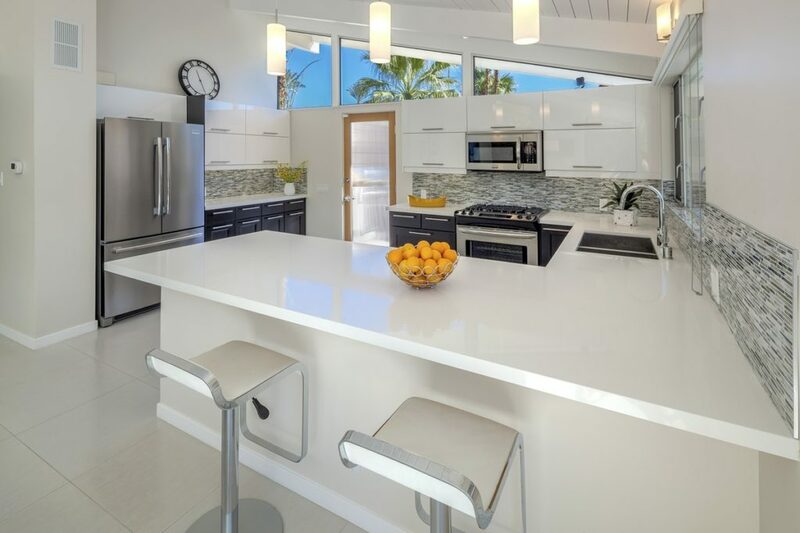 The next common level of modernization is to upgrade kitchens and bathrooms. It is common enough that many Mid-Century Modern (MCM) homes were upgraded in this way in the 70’s, 80’s and may require this upgrade again. Similarly flooring styles have changed from smaller tiles, perhaps with decorations, to larger and more uniform floor treatments. Hardwood floors are rare in the desert because the low humidity can cause shrinkage. If the home is to be used in warmer weather, upgrades may be needed to the heating and cooling system. With higher energy costs, single pane windows should be upgraded as well. So, “Renovated” can mean some or all of the above have been done in a home. Not every home requires every renovation, but renovations can run from tens of thousands to hundreds of thousands of dollars. Something to definitely keep in mind when looking for a home. 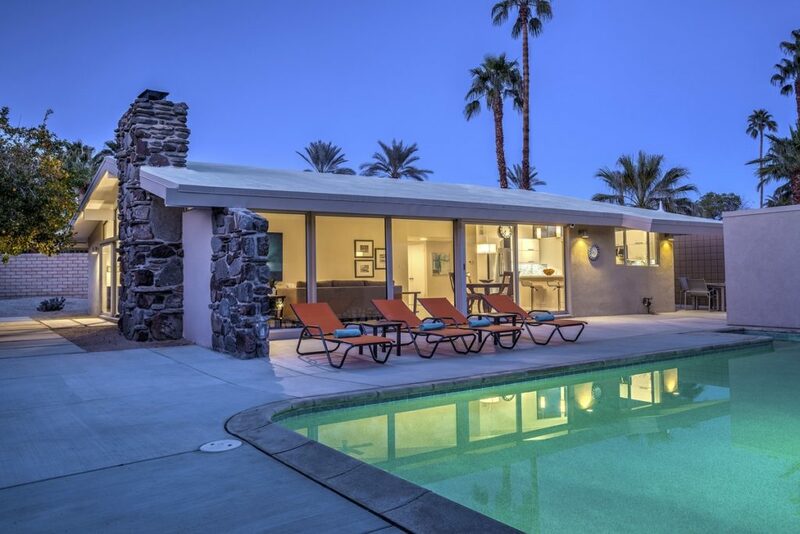 Next PostNext Two Local Mid-Century Modern listings featured in the latest “Los Angeles Times Hot Property List” for Celebrity & Luxury homes under $1 million!